Click +1 to publicly give something your stamp of approval. Your +1’s can help friends, contacts, and others on the web find the best stuff when they search. Google has released an alternative to the Facebook and Twitter Sharing buttons named +1.If you like something that you find on the web, you can hit the +1 button, and your +1’s will help friends, contacts, and others on the web find the best stuff when they search. This tutorial will guide you on adding the same to your Blogger Blog. 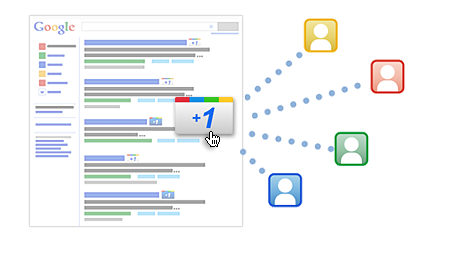 Google launched the +1 button yesterday for websites. In this post we will tell you how to add the +1 Google button to your Blogger blog. Google has made the process of adding this button to your blog very easy as the code needed to add the button is very simple. Just follow the steps that we have given in this post. Google introduced the +1 button for websites. +1 means “this is pretty cool” and will help your friend, family, contacts and rest of the world to find more relevant topics they are searching for on Google search. Blogger has also enabled this feature and you can easily add it to your blog. But before I discuss to how to add the +1 (plus one) button to Blogger, let’s find out more about +1 by this video.